Associate Memberships are available to businesses that support CRMA members. 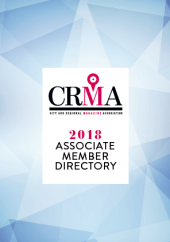 The following directory is a list of current CRMA Associate Members. For information on becoming an Associate Member, click HERE. The leading industry provider in advertising management software for publishing, digital sales, project management and events. Designed to help customers achieve more with our customizable drag and drop automation tools to simplify work. AdCellerant works with local media companies providing Programmatic Advertising, Native, Geo-Fencing, IP Targeting, PreRoll Video, ConnectedTV, Email Marketing, SEO and SEM for their local advertising clients. As a white label service provider, AdCellerant offers the best in class digital marketing products placed through their award-winning ad technology platform. 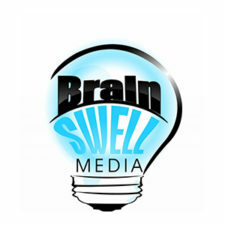 Brain Swell Media offers sales training, sales coaching and revenue strategy consulting to media companies in the B2B and Consumer space.To date, 25+ CRMA member magazines have been trained with results of 15%-35% revenue growth in less than 90 days. Broadstreet XPRESS is a plugin and replacement for Google DFP that accelerates digital ad sales success. Its team provides guidance on sales strategy and best practice. Broadstreet is the choice of Today Media, St Louis Magazine, New Jersey Monthly, and hundreds more. Capitol Summit commemorates achievements around the globe with quality, service and innovation. We are a manufacturer of top quality recognition products, such as solid wood plaques, acrylic desk marquees, wall standoffs, and brushed aluminum wall mounts, among others. We are brand builders and revenue generators for our customers – helping organizations build connections with their subscribers, members, students and graduates, employees, customers, and vendors through our product offerings and customized e-commerce solutions. 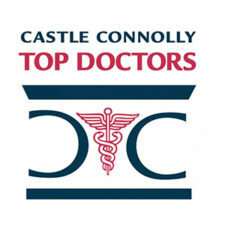 For more than two decades, Castle Connolly has been America’s trusted source for the identification of Top Doctors. The company helps consumers and businesses to find and access the very best in American medicine. Castle Connolly is proud of its long-term relationships with 40+ CRMA magazines for their annual Top Doctors features. Circulation Verification Council is an independent, third-party reporting audit and readership study company. CVC audits over 1,700 editions with a combined circulation of more than 55 million, including most CRMA members. CVC audits cover printing, distribution, circulation, websites, digital editions, mobile, email, social media and readership studies. The goal of CMG remains quite simple: to maximize sales in today’s newsstand environment while removing structural impediments in the distribution system in an effort to create a more efficient sales channel for tomorrow. Since 1914, Cummings has specialized in the printing of publications. Flexible scheduling, responsive customer service and superior quality are the strength of our company. Clients never get lost in the shuffle. Every job gets the attention it deserves. DataJoe is a time-saving and revenue-generating software platform. City magazines use DataJoe to automate voting and tallying for reader’s-choice Best lists (such as top doctors, lawyers, dentists, and best of the city), saving tens or hundreds of hours a year. 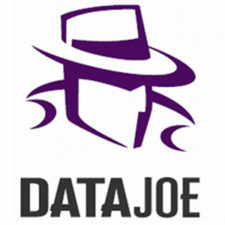 DataJoe also provides automated online publishing and e-commerce tools for best of presentation. In this capacity, DataJoe offers multiple related online revenue streams, including enhancements, e-commerce, and other methods. 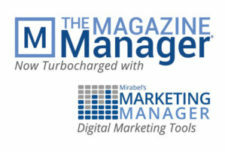 Digital Rocket Engines are market intelligence tools that are created exclusively for city and regional magazine publishers. We provide robust databases to help grow your audience and boost digital revenue. Family Features provides free, high-quality food, lifestyle and home and garden content for magazines and websites. Our content offerings include formatted full-page and half-page layouts, unformatted articles, recipe videos, infographics and listicles with new content added daily and available to download any time. Family Features’ content widgets can provide your site with the latest food, lifestyle or home and garden content, updated automatically with new content every week. For more information on our content or content widgets, visit www.editors.familyfeatures.com or call Cindy Long at (913) 563-4752. Five Star Professional conducts market research to define and promote professional excellence in Wealth Management, Real Estate, Mortgage Professionals and Home & Auto Insurance. The Five Star designation assists consumers in selecting a service professional that other consumers say provides exceptional client satisfaction and service. 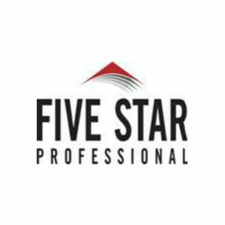 Five Star Professional joins forces with CRMA to promote Five Star-designated professionals in more than 45 markets across the United States. Freeport Press: People who care about your publication using software and technology you have to see to believe! It’s a winning combination. Call us for a visit 740-658-4028. With a heritage in print and a focus on new technology, Fry Communications, Inc. has continually expanded and diversified to meet the needs of its customers. As one of the nation’s largest privately held communications companies, Fry provides category-leading solutions in publishing and marketing services. Through the Fry Family Network™, Fry offers integrated solutions for sales and production management, content delivery strategy, circulation and audience development, customer acquisition, and direct mail. The network allows Fry consultants to couple expertise in traditional prepress, print, and distribution with progressive content delivery and management solutions to help publishers engage their audiences. For over 30 years, Hudson Group has provided travelers across the continental U.S. and Canada with the items they need and the brands they trust. 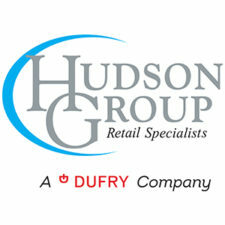 Our portfolio of brands include our iconic Hudson and Hudson News stores as well as proprietary and branded specialty stores and food & beverage locations. With our core purpose to be the Traveler’s Best Friend, we keep customers at the heart of our business. 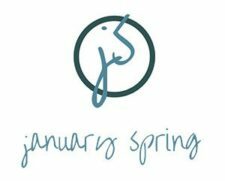 January Spring is a B2B digital marketing agency that works with niche publishers to grow their membership, event attendance, and subscribers using a proven combination of targeted, programmatic display, social media and search. We act as the back-office marketing technology and service provider for our publishers. As a natural extension of publisher partnerships, we offer best-of-breed digital products for their advertisers – 100% margins, no minimums or set-up fees. We are members of Niche Alliance, CRMA, SIPA and a Brain Swell Ad Sales Nation Sponsored Partner. JK Associates (est. 1992) independently supports publishers to successfully navigate through the challenging and changing newsstand industry. We pride ourselves in handling each of our client’s magazine distribution as if it were our own. Joe Luca and Triva Bridges have 50+ years of newsstand experience. With city and regional magazines, every store counts, which requires regular hands-on review, ensuring markets are properly covered. Whether looking for a team to manage your complete newsstand distribution or simply seeking additional support to supplement your existing team with regular maintenance and management, we can personalize our services to meet your needs. 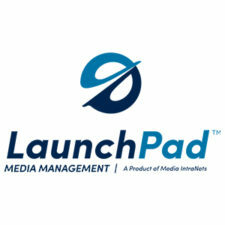 LaunchPad Media Management is a cloud solution that integrates CRM, AR/billing, order entry, production, reporting and web analytics into a single software solution. Our LaunchPad Media Intelligence reporting platform is the industry leader when it comes to creating and saving customized reports. LaunchPad is able to easily integrate with audience database and other 3rd party services via APL. Localist is an events calendar software that makes beautiful, mobile responsive calendars for websites across the world. Localist’s calendar software makes it easy for community partners and the general public to submit events, browse events by interest, share event listings all while increasing your calendar’s SEO. Localist makes it easy for your organization to monetize on the calendar while minimizing the amount of administrative work the calendar has historically required. LSC LSC DIGITAL is an industry leader – in the direct response vertical providing an ongoing array of high quality marketing services. LSC has provided expert brokerage services to the direct marketing industry for over 30 years. DATA and data management sits at the core of what we do, – and by continuously leveraging new technologies and building a highly dedicated and experienced team it has allowed us to provide leading edge services to successfully support both B-2- B AND B-2- C marketers – with their off-line and on-line needs. LSC Communications is a global leader in traditional and digital print, print-related services and office products that serves the needs of publishers, merchandisers and retailers. The Company’s service offering includes e-services, warehousing and fulfillment and supply chain management. The most comprehensive media audience measurement and consumer intelligence in today’s changing marketplace. MediaRadar is an ad sales intelligence service that helps magazines, websites, and newspapers improve ad sales by providing detailed analysis on over 1.3 million brands, with advertising, editorial, newsletter, and social media insights from more than 7,000 media properties. Midland National is an innovative, creative, focused, and cost-effective paper distribution company. Midland National has a proven track record of developing and maintaining consultative paper programs for our clients. We will help you reduce costs and realize time and production efficiencies, while meeting your environmental and aesthetic goals. With our detail-oriented team of dedicated professionals bringing experience from all facets of the paper and printing industry, we serve as your partners in print. We pride ourselves on and providing outstanding service, practical knowledge, technological innovation and continuous value-added services. 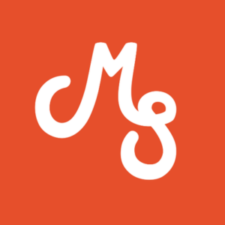 Mostly Serious is a digital agency specializing in custom websites, applications, and marketing tailored to speak to your audience. MRI’s Survey of the American Consumer® – which has maintained MRC accreditation for over 20 years – is used in the majority of US media and marketing plans and has long been the industry standard for magazine audience ratings. Simmons measures American consumer psychographics, preferences, attitudes, and media behaviors by closely overlaying survey and passively measured data using advanced measurement sciences. • Execute sales campaigns within the system and easily measure results. • Manage both aspects of sales: selling insertion orders to advertisers and subscriptions to your readership. • Track advertisements from insertion order through fulfillment and verification, then automatically generate invoices per customized billing schedules. • Integrate with other solutions such as DoubleClick and other verification servers. 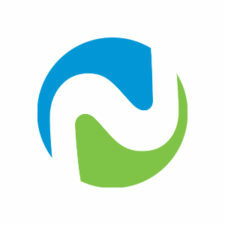 Palm Coast Data sets the new standard for fulfillment and marketing support. Specialized solutions include e-commerce, digital entitlements, online, email and mobile marketing, direct mail, customer service, and graphic services. 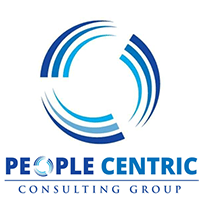 People Centric Consulting Group is a management consulting firm based in Springfield, Missouri that implements people-focused solutions to common business challenges and helps to develop future organizational leaders. People Centric Consulting Group helps small and mid-sized businesses achieve the next level of growth through strategic planning, leadership development and process improvements. Make money on your content. NO Cost. No Risk. (Really) How? Let us set up a private label e-commerce site to sell:Reprints, modern plaques, articles, covers and Best of. 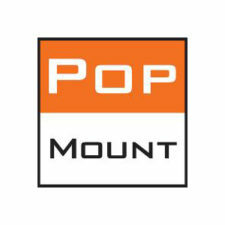 Take control of your content and brand with PopMount. We partner with publishers to combat predatory companies from selling your content to your customers!. Manufacture and fulfill. Send your revenue. Professional Research Services (PRS) is a nationally operating research firm located in Troy, Michigan. The company conducts peer-review surveys of professionals to determine the top doctors, dentists, lawyers, chiropractors and realtors within a specific geographical area. PRS then licenses this data to city and regional magazines and other media outlets around the country. PRS’ listings have been featured in magazines nationwide including Honolulu Magazine, Seattle Met, Rhode Island Monthly, Sacramento Magazine, (201) magazine, New Orleans Magazine, Los Angeles Magazine and Hour Detroit. Publication Printers is a proven leader in the magazine printing industry. Today, our offerings have expanded to include blended media solutions such online editions & apps, augmented reality, email marketing, one-to-one marketing and much more. Pugpig is the publishing platform behind the biggest (and not so big) names in magazines, from Foreign Affairs to Conde Nast Traveler and from Tortoise to The Economist, we provide publishers with everything they need to launch fully hosted paid websites and apps in a matter of days. M & A advisory services dedicated to the regional print and online media. Roosevelt Paper is a nationwide company that serves the magazine,catalog, and newspaper insert industries providing both coated and uncoated papers. Roosevelt specializes in 28# through 100# coated offset in text and cover weights as well as standard uncoated grades. Our three large warehouses and converting facilities allow us to store, ship, and bill your paper when needed, resulting in improved cash flow. 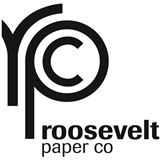 Contact Roosevelt today or visit our website to save money on your paper costs. 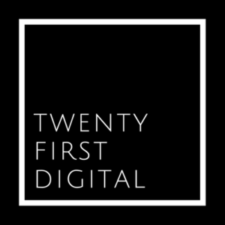 For over a decade, Second Street has been the leading provider of private-label online promotions platforms and partner success services for media companies and brands that want to generate revenue, increase website traffic and build a database of loyal consumers. Based in St. Louis, our software solutions and partner support enable companies to maximize customer engagement and convert website visits into revenue contests, sweepstakes, polls, and email communications. 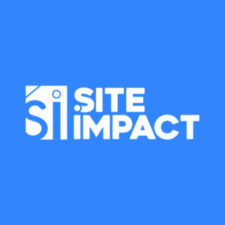 Site Impact’s Private Label Email Data & Technology solutions have been powering major marketing and media companies for nearly 10years. Offering in-house developed technology, Site Impact streamlines an advertiser’s capabilities from selling a standard print ad in the paper to providing geo-targeted, hyper-local, email marketing and digital advertising. 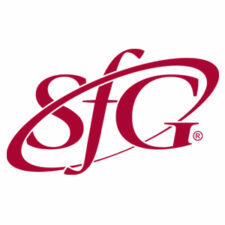 SFG is a fulfillment and marketing services provider, uniquely suited to city and regional magazines. We offer a real-time relational database, partnership-focused culture, flexible system, leading-edge technology, and high-touch customer care. 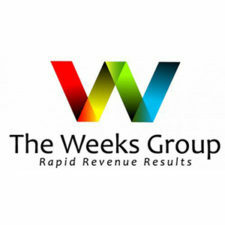 “The Weeks Group”, a team of industry trained sales leaders with a real passion for selling your media solutions. We create a media package and sales strategy and then sell 6 months and 12 months contracts on the front line with your sales team. We have earned a powerful reputation in the industry for delivering real revenue results. Our 1-week revenue events have generated millions of dollars in new ad revenues for the media industry. We are paid based on revenue results. With our partner circulation of over one million and total print reach of nearly ten million readers in all 50 states, Top Dentists produces the most recognizable list of dentists in America. We provide lists to magazines on a license fee and or revenue sharing basis. TownNews delivers digital publishing innovation. Grow your brand and monetize content with a responsive design website, mobile app, and digital edition. TownNews consultative services include marketing and monetization strategies. Has your media company hit a roadblock? If you’re not sure what’s holding you back or how to act on ideas you have for growth, Tunney Media Solutions can help put the pieces together with creative, strategic solutions. Through her consulting business, seasoned media professional, Leslie Tunney combines executive-level experience with a hands on approach to assist publishers in such areas as operations review, revenue growth, events, new products and more. As a former Publisher and past president of CRMA, Leslie knows your business and the challenges you’re facing. Through actionable insights she can get your business back on track. We help brands and publishers expand and monetize their most valuable asset — their audience. Our services act like a digital marketing department plug-in to your business. Every department of a business can connect with the target consumer, foster relationships, and strategically use data. 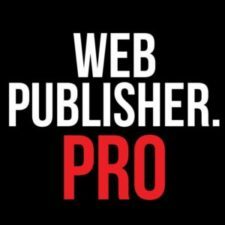 Web Publisher PRO specializes in migrating your existing website from its current platform or CMS over to WordPress in the most seamless, painless manner possible. If you’re a publisher looking for CMS migrations, database conversion, database mapping, multisite network builds, or custom theme development, you’ve come to the right place. We also offer website enhancement programs for publishers looking to outsource their website tech management to a reliable team of forward-thinking developers.